So we just celebrated the well-known holiday of showing and sharing love–Valentine’s Day. But did you know that February 17th is Random Acts of Kindness Day? We decided as a family to spend an afternoon doing some random acts of service for people and I just love the feeling we get from doing it. Service is hands-down the best way to lift your spirits. I also love doing it with my kids to help them think about something or someone other than themselves. Celebrating this day right after Valentine’s Day is a great way to keep the love going all month long! 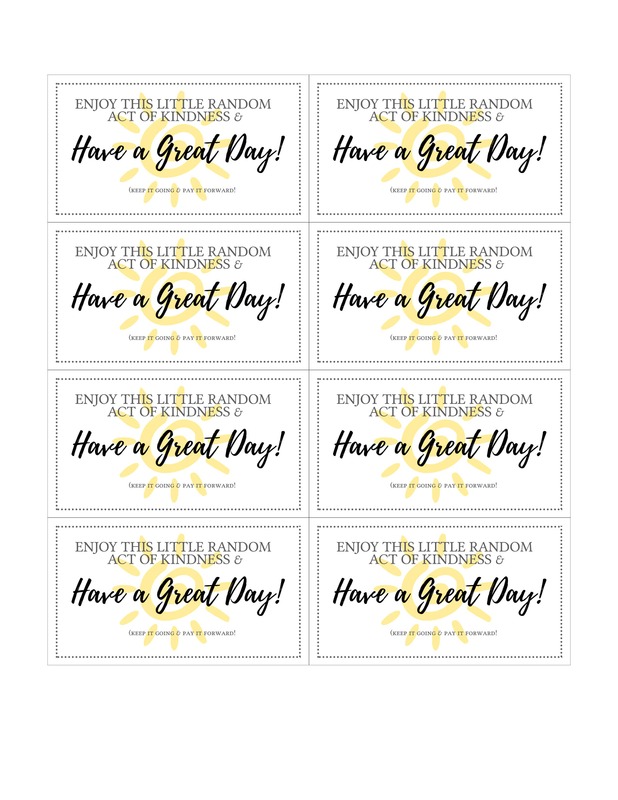 First I made these little cards that we printed out as a way to let others know that it was an intentional act of service and maybe even inspire them to pay it forward. Of course we don’t do it for recognition, but just so people know they have been presented with service rather than just ‘getting lucky’ or maybe feeling like they need to find the owner of the money. #1: We went through the Swig drive through, bought a gift card and put the card with it and told the attendant to give it to the next person behind us. 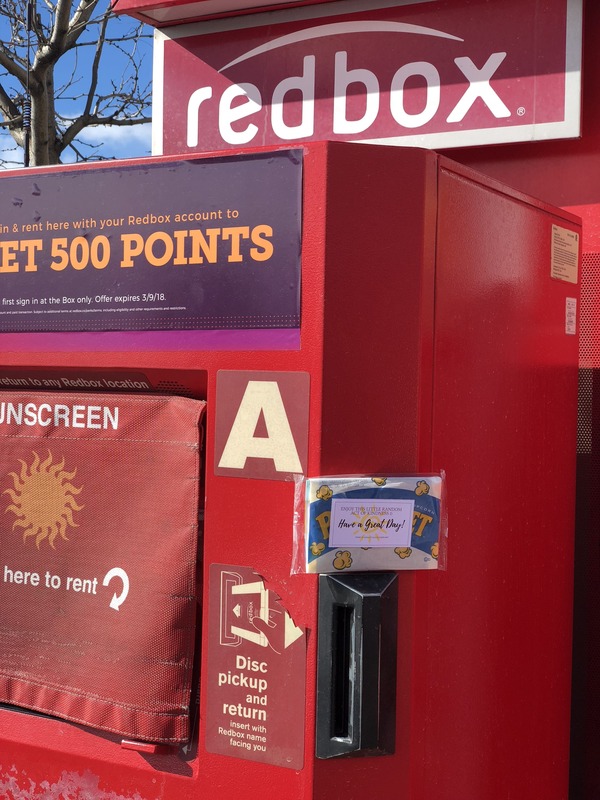 #2: We took a bag of microwave popcorn and taped it to a Redbox machine so someone can have popcorn with their movie! 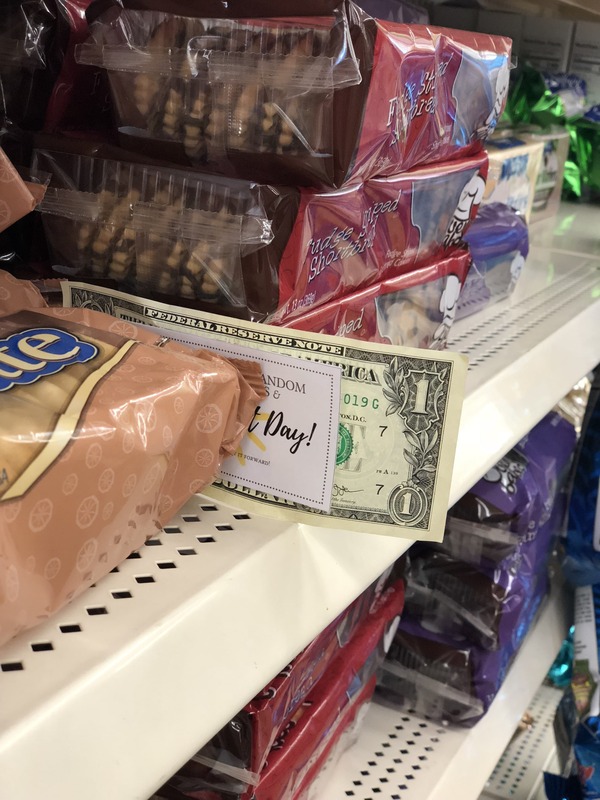 #3: The last thing we did, and my kids favorite one was to take a bunch of dollar bills and hide them around the dollar store. These acts were all SO easy and quick to do and barely cost me any money. 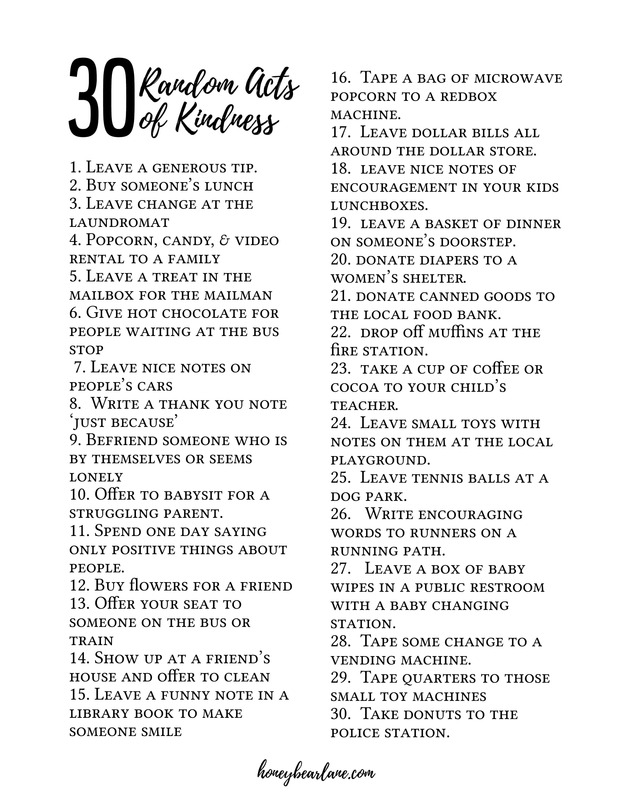 By doing these little random acts of kindness, you don’t have to be committed to a huge chunk of time, get a babysitter, interact with strangers, or spend a lot of money. I think I spent like $10 and they all took one hour. And these little acts we did just brought a smile to someone’s face, lifted their spirits, and made them remember the good in the world. That’s all that counts. 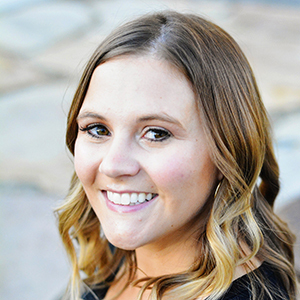 Of course it’s amazing if you want to do or give more, but I’m just trying to show that anyone can do these quick little things whenever you want or whenever you get a bit of extra cash! Did you see the one about donating diapers and leaving baby wipes? Right now you can get $8 off any two Pamper’s items at Sam’s Club. Plus, you can get a $10 Sam’s Club eGift Card when you purchase $50 worth of Pampers. 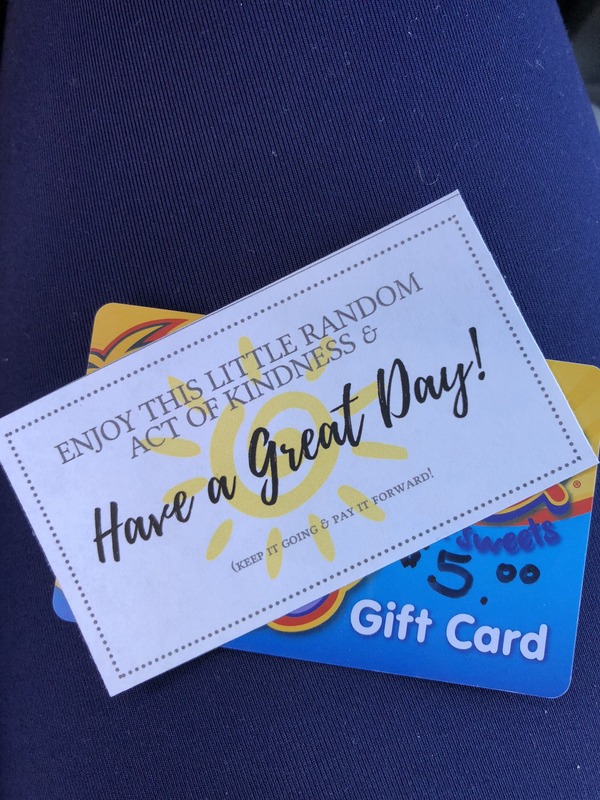 This makes those Random Acts of Kindness super easy and affordable. These are all such wonderful ideas! It’s so amazing how our days can totally change if someone is kind to us!